The tennis champ who welcomed her first child with fiancee, Alexis Ohanian a few weeks back has finally shared the first pic. 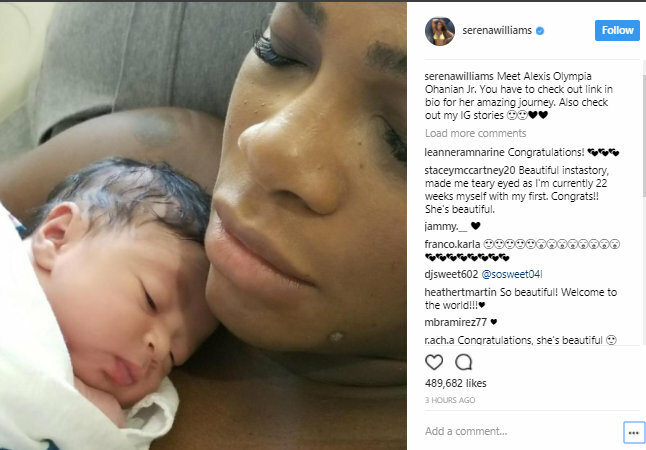 The baby who was named after her dad is called Alexis Olympia Ohanian, Jr. Meanwhile, her dad shared a cute video on his Youtube channel detailing the journey of the pregnancy.